This Vintage Embossed Flower Leather Handbag has been made with a vision to create handbags not only for daily use but also for parties and, if you are into art collections, for that too. Made of genuine leather with first-rate expertise, this embroidered handbag should be a definite choice. Special craftsmanship makes the bag a staple for your closet. Both practical and elegant, it presents a solid and elegant shape from any point of view. Concise and fashionable, it’s the perfect gift choice for a girlfriend. Bag is very beautiful! Not sure it's skin, but I still like it. Packed on conscience: inside the air bags, outside a few packages and pupyrka. Outside all rewound. Mail delivery of our sustained brilliant! There Was no dents. Arrived quickly. Very good. I like the bag and especially kindness. The bag looks very elegant and it's full of useful pockets. Although it came undamaged it needs airing because of some chemical smell of the leather (I'm senstitive to such smell). Very polite store (i got a hand-made postcard from him - very nice). not leather! workmanship good. black заказывала performance, bag смотрелась бардовом think the 'd better. clip side: one findings loose, firmly on wooden bad. not for the order of skin, price inflated. 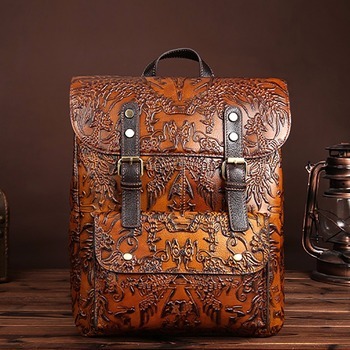 lovely bag, is neat, lining is not thin. not уверена, is leather, but looks very decent. минусов пробита off button of the flower it shows on my photo. color is, as photo in the description, more photos on my turns red due to lighting apparently. кармашке lying in small gift открыточка key chain and, подписанная. thank you! handbag received, enthusiastic wife! thank you! Very pleased. Well packed, no smell, the Bag looks fantastic. Recommended!